Words can not accurately describe my experience exploring four floors showcasing hundreds of modern artistic masterpieces. These studied pieces from my art history books seemed strangely familiar, almost surreal. The expressionism and artistic techniques brought to light by the physical scale of the two and three dimensional artworks - the details that a printed image is not capable of displaying. 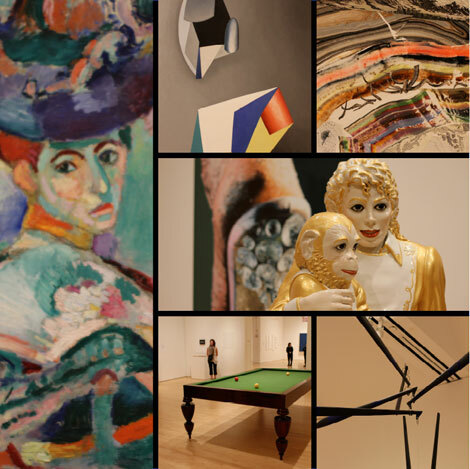 The range of pieces that were presented at the SFMOMA during my visit were works most notably by Mondrian, Picasso, Matisse, Klee, Lichtenstein, Magritte, Gaudi and Calder. What exactly is Modern Art? By official definition Modern Art refers to "artistic works produced during the period extending roughly from the 1860s to the 1970s, and denotes the style and philosophy of the art produced during that era. The term is usually associated with art in which the traditions of the past have been thrown aside in a spirit of experimentation. 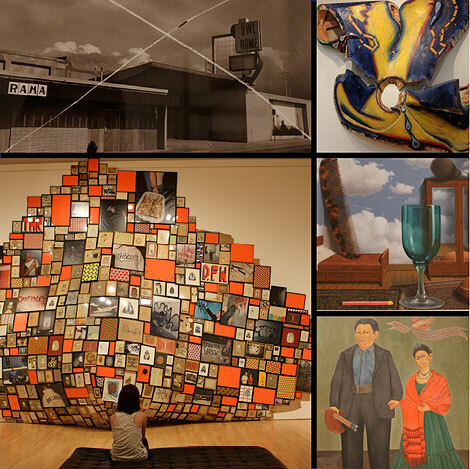 Modern artists experimented with new ways of seeing and with fresh ideas about the nature of materials and functions of art. A tendency toward abstraction is characteristic of much modern art." It's all about the search for personal expression for the artist and viewer. That's the beauty of Modern Art. Throughout the last century there have been some amazing art movements breaking the ground for artists today. These include Impressionism, Post-Impressionism, Romanticism, Expressionism, Fauvism, Cubism, Dada, Surrealism, Art Deco, Social Realism, Pop Art, and Minimalism. Personally the Modern Art styles that I appreciate include Impressionism, Fauvism, Surrealism, and Pop Art. What I like about Impressionism is the fascination between light and color and the varying individual brush strokes that from a far look like a shimmering effect of light. As you move closer to the detail the brush strokes look like a jumble of color daubs. I was able to view Henri Matisse's The Woman with the Hat (1905). This painting was a crucial development for artists to push the bounds of color, no longer confined to replicating the "real" colors of the natural world. Fauvism is the term for Matisse's style - great enthusiasm and passion with pure, highly contrasting colors. My favorite Pop Artist is Roy Lichtenstein. His signature style borrowed from mass culture — particularly comic books and advertising — bringing the look and feel of commercial printing to fine art. I was able to view his Mirror series. Mirror I (1977) and Mirror #2 (1970) presented a more abstract style with Mirror I being a painted bronze statue in the primary colors and Mirror #2, an a abstract interpretation of a mirror. The signature technique of Ben day dots revealed. It is undeniable that Modern Art is an exercise in expression and abstraction. 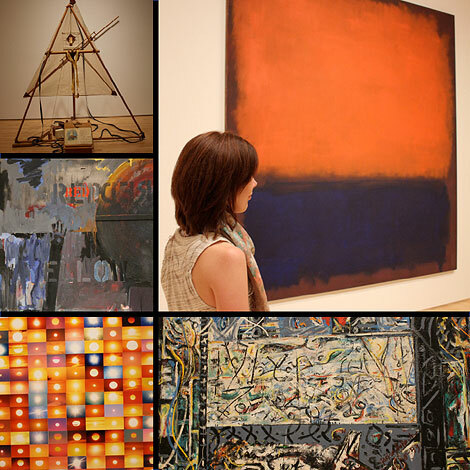 Reflecting and understanding the details of the Modern Art masterworks is guaranteed to teach and inspire. It makes me want to get back into my painting!